NanoScreen designs and manufactures instruments and consumables that are used by most of the major pharmaceutical and biotech companies in the world. We specialize in providing automated solutions that allow researchers to precisely and simultaneously transfer hundreds or thousands of compounds. Our core competency is in the design and manufacturing of high-density air displacement heads, disposable pipette tips and robotic liquid handling workstations. We have built a reputation on providing superior products and service with our team of industry professionals operating at the forefront of liquid handling automation. We adhere to an environment of continuous improvement as we closely analyze all products and processes for more efficient solutions. Our mission is to “Create and deliver high value, innovative solutions for the Life Sciences”. Our objective is to transform the modern Life Sciences laboratory and expand the capabilities of liquid handling workstations, dispense head technology and disposable pipette tips. Focus on the needs of our customers. NanoScreen remains focused on bringing products to market that allow our customers to concentrate on doing what they do best – research. 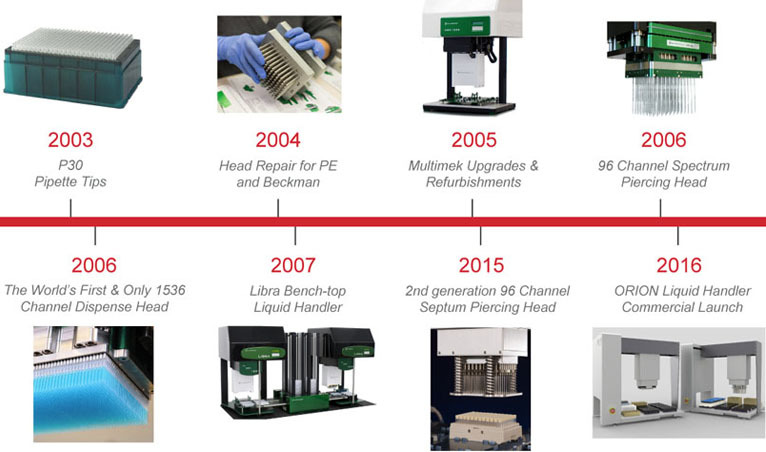 Our rigorous commitment to expanding the capabilities of liquid handling robots, dispense head technology and disposable pipette tips allows customers to attain their goals with accuracy, efficiency and precision. Simple operations. Researchers and scientists want efficient and straightforward operations when performing experiments. We deliver products that are easy to use, accurate and deliver – everyday! – excellent results. Demonstrate the value of our products. Customers do not benefit from products and services they cannot afford or use easily, while trying to meet increasingly high expectations. NanoScreen is developing workstations and technology that support the needs of customers while being compellingly priced. Remain performance driven and non-proprietary. We create products on an open platform that increase efficiency and effectiveness while maintaining versatility. They are easily programmed to run any manufacturer’s reagents. We embrace open-mindedness, collaboration and ethical behavior in all our communications and relationships. Accuracy: Our commitment to accuracy is absolute. From the design stage and throughout the production and assembly process of all our products, we relentlessly pursue the highest level of trueness and precision. Exacting uniformity and unimpeachable quality allow us to deliver products and systems that are spot-on accurate. Suitability: We are focused on developing and offering products that have the features our customers need and that add value to their experiments and discovery efforts. Our goal is to ensure our customers meet their objectives efficiently and accurately. 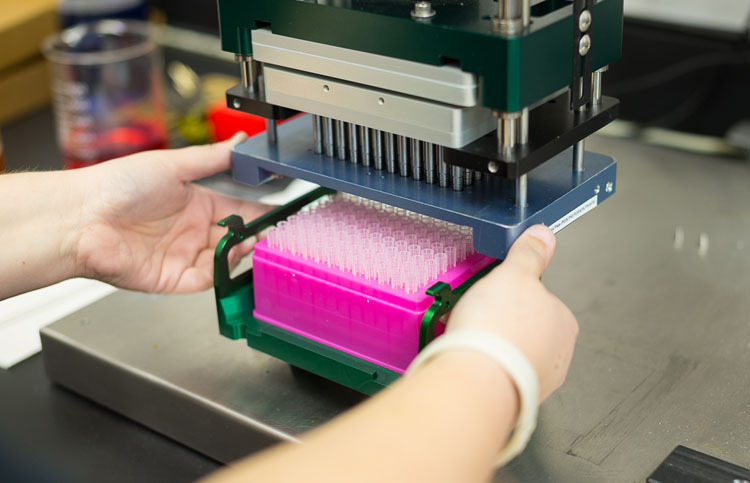 Simplicity: We are relentless in our commitment to reducing complexity while expanding the capabilities of robotic liquid handling workstations, dispense head technology and disposable pipette tips. That is why one of our guiding design principles is to create products that are easy to experience, meet customer expectations and build confidence in the product.